chance to win the pieces made by Joeanna. Located at Avoca, Rathcoole and Kilmacanogue and most recently at Avoca, Dunboyne, Joeanna Caffrey Flowers is an Irish owned passionate, young, and energetic flower company. 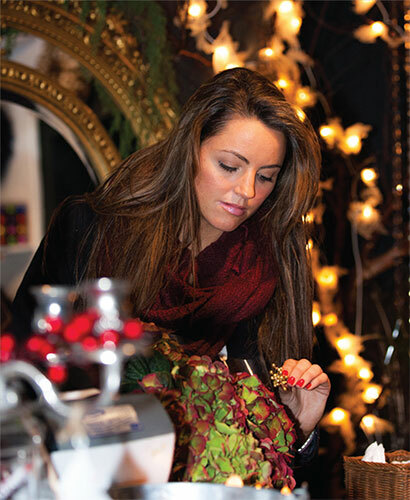 Our passion is to provide beautifully presented, luxurious flowers with a personalised floristry experience. Through our bespoke personal service, our experienced team provides unique floral creations using only the highest quality blooms from our worldwide hand-picked suppliers. Like most industries, floristry is ever changing, we are constantly gaining inspiration from all over the world. We pride ourselves in choosing only the best partners to deliver the freshest blooms possible from Ireland to South America and not forgetting Holland! Whether you are hosting a simple, fun, opulent or modest affair, we will ensure delivery of the latest trends to all our clients and customers.